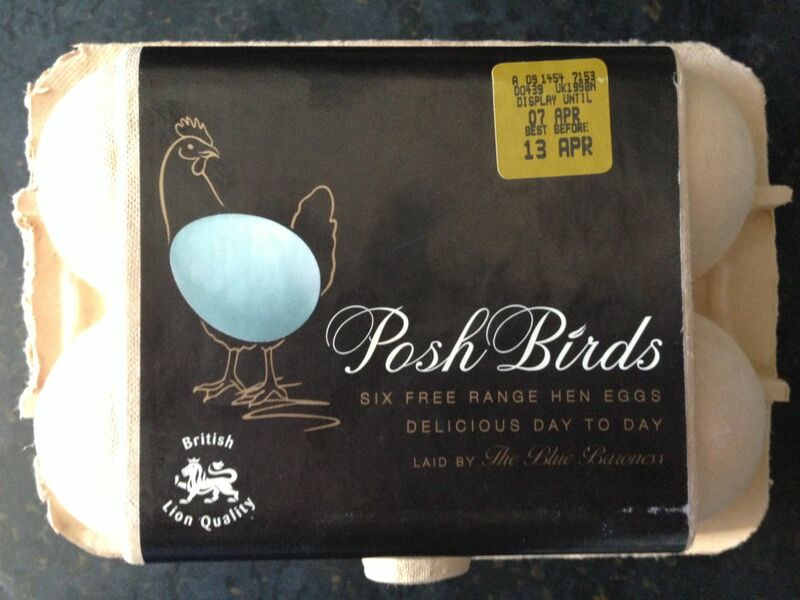 I’ve been wooed by the beautifully crafted brand language of Posh Birds eggs. Those clever chaps at www.posh-birds.com first caught my eye with their blue hen eggs, laid by “The Blue Baroness”. 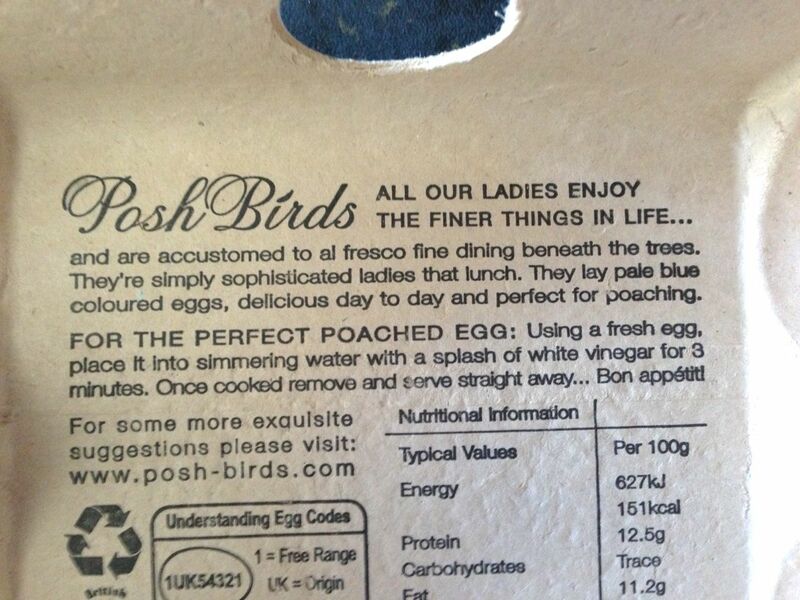 With their classy design and tagline “All our ladies enjoy the finer things in life”, these well-bred free-range eggs deserve closer inspection. 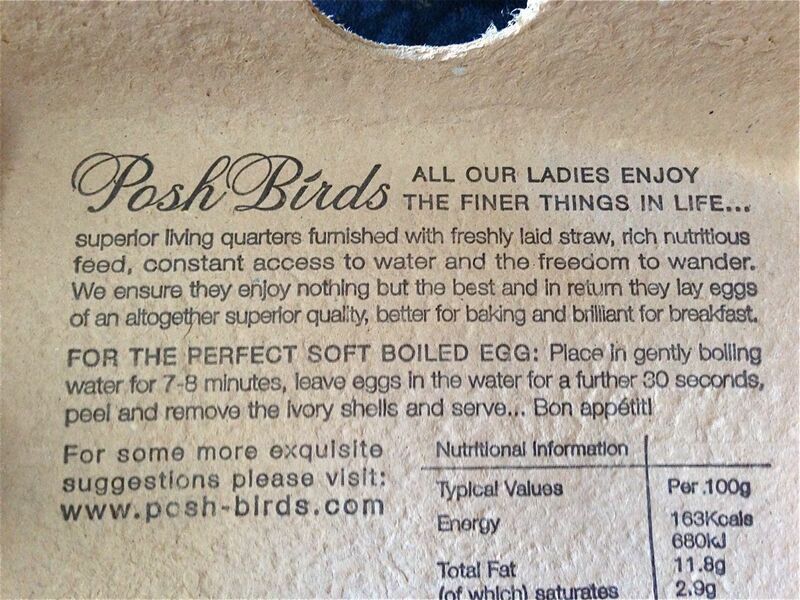 Open the box and you’ll see a story, which whisks you away (pun intended) to a country estate, with “al fresco fine dining beneath the trees” and “superior living quarters furnished with freshly laid straw”. 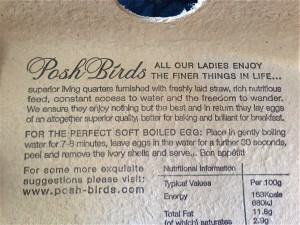 Visit the website and the copy continues its tongue-in-cheek haughtiness, with headings “A comfortable life” and “A bite of what one fancies”. 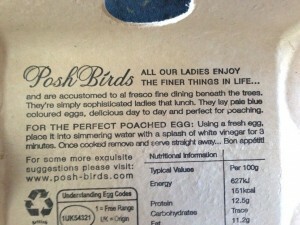 Each egg is described in delightfully snobbish detail such as “rich chocolate brown shells”, “pastel blues to pale turquoise hues” and “delicately speckled shells”. This is brand language, freshly laid. Food and drinks brands, take note.